The WASP-South camera array, in conjunction with the Euler/CORALIE spectrograph and the TRAPPIST photometer, continues to be the world’s most prolific programme for discovering hot Jupiters transiting relatively bright stars of V < 13. The lastest batch of five (WASP-119b, WASP-124b, WASP-126b, WASP-129b and WASP-133b) was announced by Maxted et al this month. The discovery has reported by the Daily Mail, The Times of India, and The Hindu, and has been covered by about twenty news websites including Phys.org, wired.co.uk, scienceworldreport.com, techtimes, I4U News, and siliconrepublic. “NASA’s Transiting Exoplanet Survey Satellite … might find smaller transiting exoplanets in these systems, as the Kepler K2 mission did with our previous discovery WASP-47. TESS, however, will do this for nearly all WASP planets, whereas K2 is restricted to an ecliptic strip, and so can only look at a few WASP planets,” Hellier said.”. 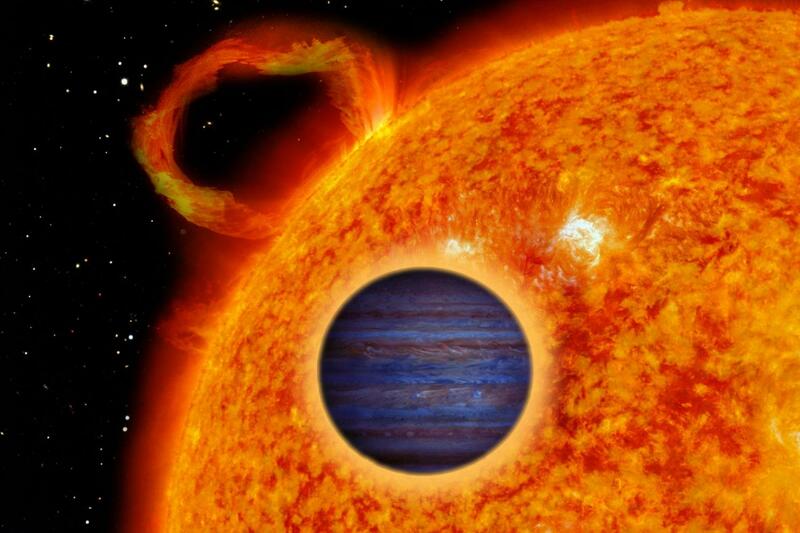 This entry was posted in Hot Jupiters, WASP planets on February 18, 2016 by waspplanets.